It doesn’t take more than a few minutes in Panama to sense that this is a country that’s growing. From the ever-expanding skyline of Panama City to new hotels and travel destinations cropping up on the coasts, Panama’s diverse industries are bustling. And it isn’t just the feeling in the air or the cranes on the horizon that indicate this growth. There are also plenty of cold hard numbers that prove Panama is one of the fastest growing economies in Latin America. In the past decade, Panama’s GDP has grown by over 8%. The Panamanian economy even showed growth in 2009 at the peak of the global recession. Improved infrastructure along with efforts to reduce poverty and create jobs are all part of the government’s strategy to ensure that this growth is sustainable. And investors and entrepreneurs are taking note. It doesn’t matter what’s your business size or budget. 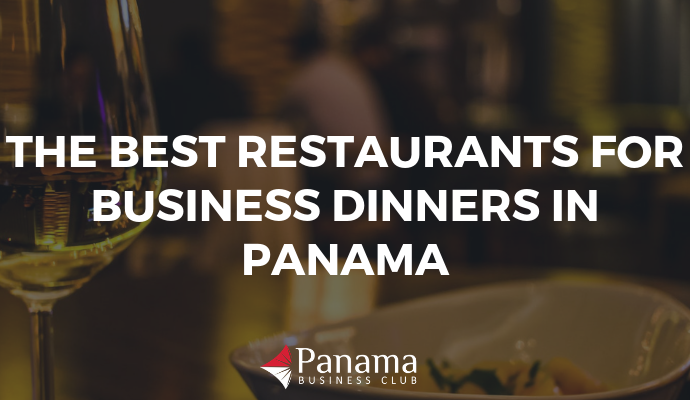 Panama could easily be the perfect place to launch your next business venture or invest in someone else’s. But where should you do business to get the most bang for your buck? There is an abundance of factors that have set Panama up to be the financial services hub of Latin America. For starters, since adopting a dollarized economy in 1904, Panama has taken advantage of the stability provided by using the US currency. The use of the dollar also makes it less expensive to conduct business with other countries that also use the USD as currency. This stability is bolstered by a political environment that is much less volatile than in many other Latin American countries. While countries like Venezuela and Brazil are enduring political turmoil, Panama has a stable democratic government. Together with the government’s lenient tax laws and Panama’s strategic location between North and South America, these factors have all worked together to make Panama a fast favorite for financial services. The result? 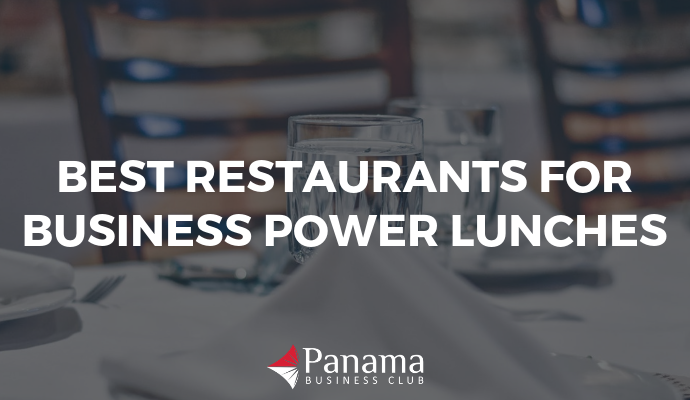 To date, there are over 80 established financial and banking institutions in Panama, located mostly in the country’s capital city. And many of these institutions conduct business domestically and internationally. While this sector originally developed as a means to provide trade finance to businesses transporting goods through the Canal, today’s financial services sector is growing more diverse. Many investors are particularly interested in this increasing diversification of the sector to provide new opportunities for investment. One area, in particular, that is prime to see abundant growth in the next few years is insurance and reinsurance. As of 2015, Panama’s insurance companies hold around $1.4 billion in capital and many expect this number to continue rising. We can’t talk about the growth of financial services without mentioning the growing influence FinTech has on this industry. As consumers are increasingly doing business with these non traditional players many within the financial services industry are coming together with FinTech to leverage the environment that it creates. Panama is an emerging player on the scene with growing numbers of startups such as Venmetro which aims to facilitate the loaning processes on-line as well as an increasing number of global FinTech leaders entering Panama such as the recent launch of Mobi724 offering their card-linked offers solution with a first bank in Panama . Panama is set to continue to top travelers wish lists in 2018, and with good reason. This really is a country that has something for everyone. From a bustling city scene and historic architecture to scenic beaches and breathtaking wildlife, there’s no wrong way to explore Panama. Panama’s government is also taking steps to ensure that the tourism industry has room to grow with $800 million being put towards the expansion of the Tocumen International Airport in order to increase the volume of annual visitors. Eco-tourism, in particular is growing at rapid rates. Thanks to Panama’s unique biodiversity and tropical year-round climate, northerners are beginning to flock to the country to take in all that it’s natural setting has to offer. 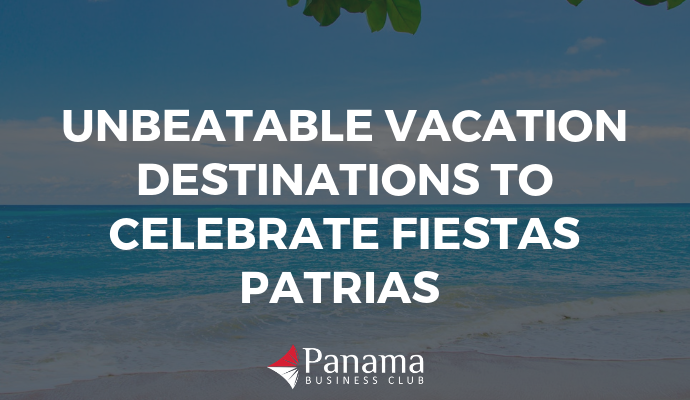 And the fact that Panama is still seen as an “off-the-beaten-path” destination is attractive to many travelers looking for a less crowded alternative to Costa Rica or Colombia. In fact, in a bit of paradoxical advertising, the country’s tourism campaign in is advertising Panama as a destination that’s “not for tourists”. You read that right. The campaign plays on the fact that Panama is relatively undiscovered by mass-market tourism to attract those travelers who are looking for a more pristine experience. Regardless of how you sell it, local businesses are jumping in on the action. Local and foreign entrepreneurs are developing eco-tours, lodges, rural transportation services, and equipment rentals for a wide range of outdoor activities. From coast to coast and deep into the interior of the country, people are finding ways to help visitors enjoy all that Panama has to offer while making a profit in the process. If you’re familiar with Panama City, it’s no surprise to find that the real estate business here is booming. New hotels, office buildings, and apartment complexes seem to spring up by the day. Panama’s population is on the rise and a robust job market continues to attract transplants from all over the world. In addition, the government is doing their part to keep up with the added demand for construction and infrastructure. Public investment in better transportation options such as the new metro line will help keep people moving to the city. That’s not to say that the capital is the only place where real estate is bustling. The tourism scene necessitates that more hotel rooms are built quickly both in the capital and beyond. New resorts are sprouting up along the coasts. And as more tourists come to find out just how great Panama is, there is a growing demand for timeshares and condos in more remote areas where visitors may want to purchase property of their own. Business opportunities in the real estate sector are wide ranging and foreign property owners are afforded the same rights and protections as Panamanians, making Panama one of the highest ranked countries in the region foreign direct investment. All of this growth makes investing in real estate one of the most favored forms of foreign investment in Panama. While it may not be a growing industry, agriculture has long been and continues to be an important industry for Panama’s economy. And needless to say, this industry is one that potential investors are taking note of. With a balmy tropical climate, Panama is the perfect location for growing a wide array of produce. Representing about 17% of Panama’s GDP, the country exports products ranging from bananas and coffee to shrimp and fish. That said, about 50% of the farmland in Panama is used to grow rice and maize. These products are consumed domestically and make up an important part of the Panamanian diet. The appeal of Panama’s agricultural sector as an investment opportunity is not unlike the appeal of other sectors. A dollarized economy, lack of restrictions on foreign ownership, and low tax rates all make smart agricultural investments very profitable. So what would a smart agricultural investment look like? One crop that has the potential to make up a larger share of the current agricultural scene is the avocado. As Mexico, the world’s top grower of avocados, struggles to keep up with domestic and international demand for the crop, Panama has the opportunity to pick up the slack. Mangos are another fruit starting to get attention in Panama. Mangoes are one of the most profitable and dependable fruits to grow. And like avocados, the demand for mangoes in the United States is high. Finally, some experts see an opportunity to improve upon the current practices in many farms for harvesting the domestic agricultural staples, rice and maize. Panama’s climate is favorable enough to allow for two harvests per year. Doing so, though, requires fairly sophisticated knowledge of farming. There may be an opportunity for an experienced management team to boost profits in these domestic crops with two rotations per year. When engineers completed the Panama Canal in 1914, people celebrated it as one of the most sophisticated engineering projects to date. This feat of engineering positioned Panama to become a global hub for shipping and trade. Fast forward 100 years and Panama’s on the brink of widening the Canal to accommodate larger ships. The expansion project, completed in 2016, has created the opportunity for even more investment in the Canal area. In fact, the local government anticipates that the income from levies on the Panama Canal will grow by as much as 50% in the years following the expansion project. This could mean an additional $1.6 billion in annual revenue for the country. As the number and size of ships that can pass through the canal has increased, this renovation has brought Panama back into the spotlight as a key player in the global shipping industry. And this boosted Canal activity has had a trickle-down effect in other related sectors. From container storage to local distribution, the market is rife with opportunity for those interested in shipping and logistics. So there you have it. The 5 industries worth keeping your eye on in Panama. By no means are these the only industries with lucrative business opportunities available. There are plenty of other sectors where a savvy businessman could win big. However, this list is a good starting place for those who aren’t sure where they want to make their mark. Regardless of where you choose to do business, Panama presents a relatively safe bet that is likely to continue growing. All things considered, there’s no time like the present in Panama.